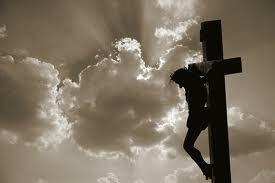 “Do not be afraid, for I know that you seek Jesus who was crucified. 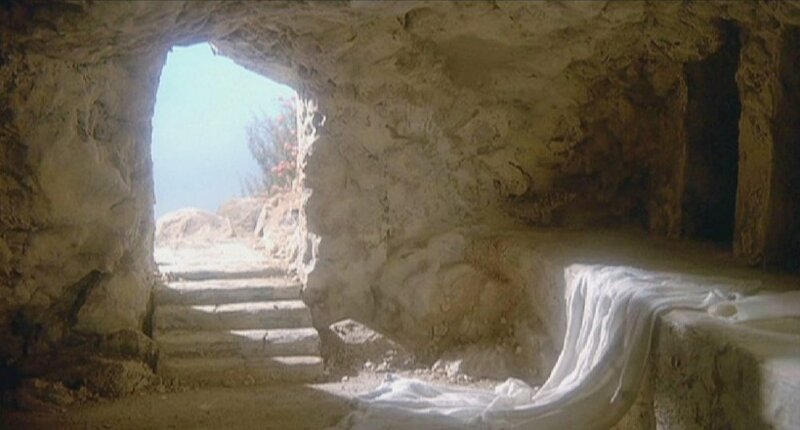 He is not here; for He is risen, as He said. Come, see the place where the Lord lay. 7 And go quickly and tell His disciples that He is risen from the dead, and indeed He is going before you into Galilee; there you will see Him. Behold, I have told you.” So they went out quickly from the tomb with fear and great joy, and ran to bring His disciples word. The resurrection of Jesus Christ is the very foundation of all Christian doctrine that hinges on the truth of this account.. In all four gospels Jesus had given this hope to His disciples that He would rise from the grave. Sadly, many of the Apostles of Jesus, didn’t believe that Jesus was going to literally be raised from the dead. 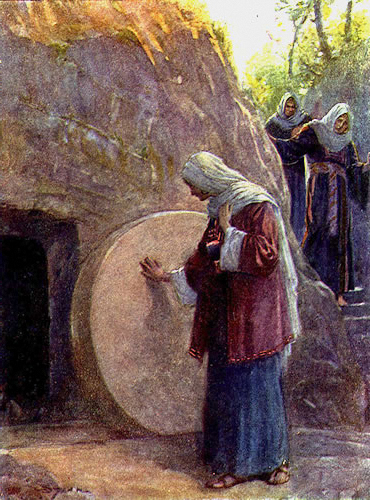 But, the women, they faithfully made their way to the tomb where they last remember He was laid. On the same day of His resurrection, Jesus Christ made at least five appearances. Mark records that the first person to see Him was Mary Magdalene. Jesus would appear to the two men on Emmaus Road. Jesus would appear to all the disciples except Thomas, all on the first day of His resurrection. The eyewitness accounts in the all the Gospels provide undeniable evidence that the resurrection of Jesus Christ really did happen. 2,000 years after His death, followers of Jesus Christ still flock to see the empty tomb, one of the strongest proofs that Jesus Christ really did rise from the dead. Evidence is indeed wonderful. The Christian faith has an abundance of evidence to support its claim…. the most incredible that Jesus does not lie in grave, He is Risen! The evidence was clear from that third day all the way to this day March 31, 2013, you can go see for yourself, the tomb is empty. The greatest miracle is the resurrection of Jesus. Jesus Christ is alive! He is the only religious leader in history to rise from the dead. He is the only one who promised a resurrection, and He kept His promise. You can visit the tombs of all the deceased religious leaders and find their remains still in the grave. The great-grandson of Mahatma Gandhi, in the late 1990’s, took Gandhi’s ashes to the Ganges River as thousands of onlookers sang and chanted. He opened the copper urn and dropped Gandhi’s ashes in the river, proving that Gandhi was still dead. They and all the others died and stayed dead; their occupied tombs attest to it. Jesus, however, is alive. His grave is empty. God used an angel to tell the women something that was so astonishing, that Jesus is risen! so incredible that the angel invited them to come and see for themselves. And isn’t that what we are asked to do, those of us who need a fresh touch, those who carry such great burdens that they have lost the hope of a new beginning, a fresh start. The encouragement is simple, Jesus Christ is risen from the dead, He is alive, and if He is alive, and if He is your savior, He can also be your helper, because He is alive! And when you believe this simple message, than you can go and tell others who need evidence of great news! The Challenge: Go out and tell everyone, who is needing to hear good news of hope that God has given His only begotten Son…”that by believing, you will not perish, but have everlasting life”. Could this be the way we once were as children; believing, trusting, that what we were told was true, and as it developed that it was real? Do we go out quickly with great joy at the opportunity to let someone know that we have the answer to their sadness, loneliness, hurt? This Easter, I am challenged. Marty, in the midst of what appears to be death, in this cancer, do you believe that “I am the resurrection and the life”. And if you do, will you go out quickly with fear and great joy and run and bring my peoples word….. that I am Risen! Yes, Lord, I will. Happy Easter to all! I have included this great poem about a Risen Savior, a King of Kings, enjoy! Here’s today’s video: Happy Easter! HE IS RISEN! Prev Day 7 Passover Week 2013/ Are You a Secret Follower?